I haven't found a product which Tofutti Brand makes that my kids DON'T like. Of all the different dairy-free cheese alternatives on the market, this brand is my kid's and MY favorite. Even more telling is that fact that I am NOT dairy-free. These slices are also parve, vegetarian, cholesterol-free, butterfat-free and gluten-free! Another added bonus is that you will find their ingredient list to be egg-free, peanut-free and tree nut-free, another plus for many. 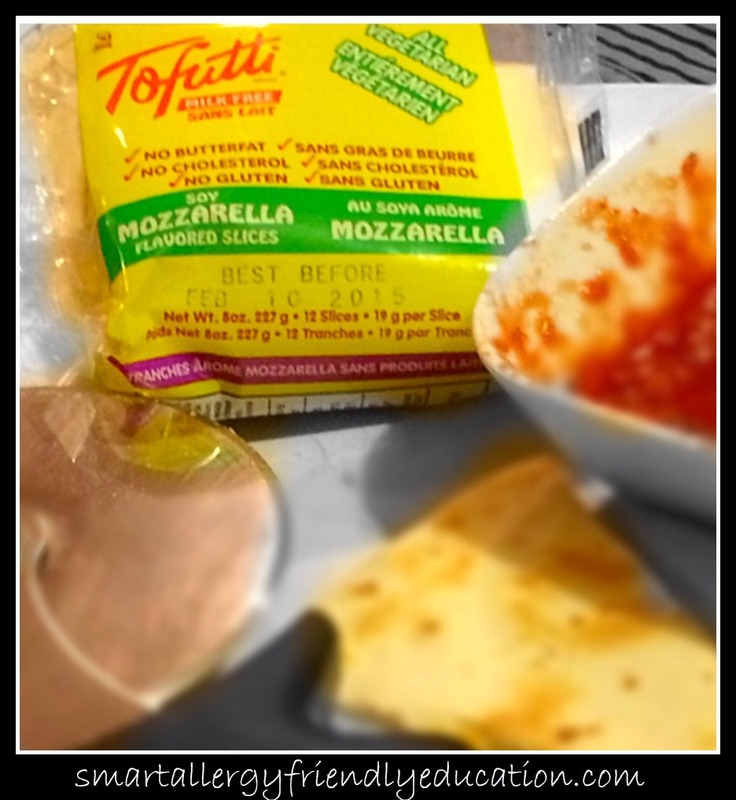 Toffutti Non-Dairy Mozzarella Flavored Slices, manufactured by Tofutti Brands, Cranford, NJ 07016. Ingredients include: WATER, MAY CONTAIN ONE OR MORE OF THE FOLLOWING OILS (SOY, CORN, OR PALM), TOFU, SOY PROTEIN, CARRAGEENAN, MALTODEXTRIN, VINEGAR, CORN STARCH, CALCIUM PHOSPHATE, NON-DAIRY LACTIC ACID, ADIPIC ACID, SOY, NATURAL COLORS AND POTASSIUM SORBATE (ADDED AS A PRESERVATIVE). For more information, visit or contact: Tofutti Mozzarella Slices or info@tofutti.com or 908-272-2400. Be sure to visit their website to see their huge variety of resources and information.